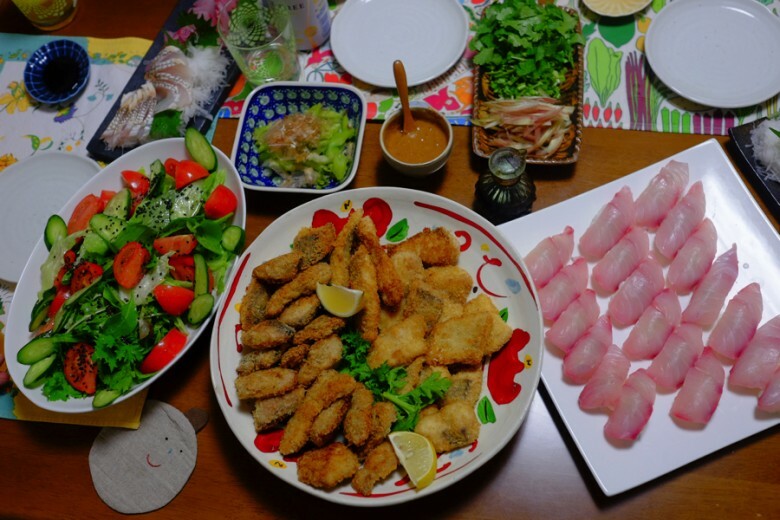 Many visitors say Okinawa doesn’t have good fish. I used to say that too before I moved here. It seemed that the cold weather made animals put on fats that we all appreciate if it’s fish or beef. And Okinawa was tropical. Fish had no reason to wear fats. That’s what I thought. 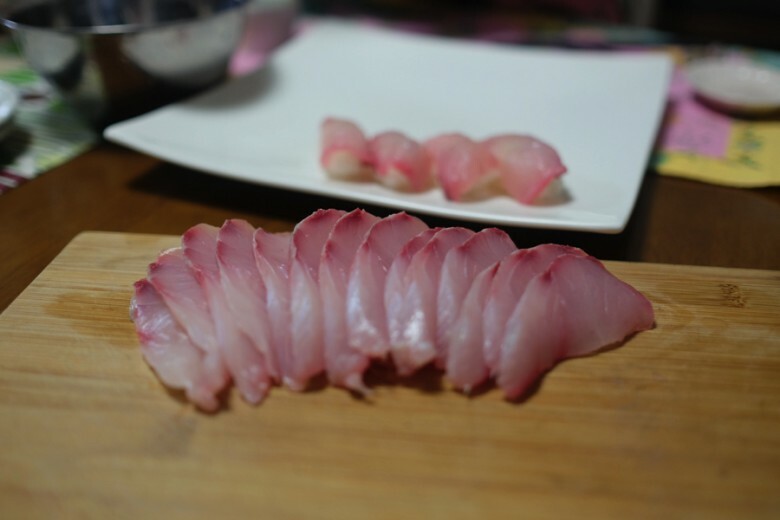 The fish I had at restaurants here was nothing like what I could have in northern Japan or in distribution central Tokyo. But I moved to Okinawa and started fishing in these waters, and I totally changed my ideas. There’s a deep-sea trench along Okinawa islands and there’s cold mineral-rich deep-sea currents flowing around here. 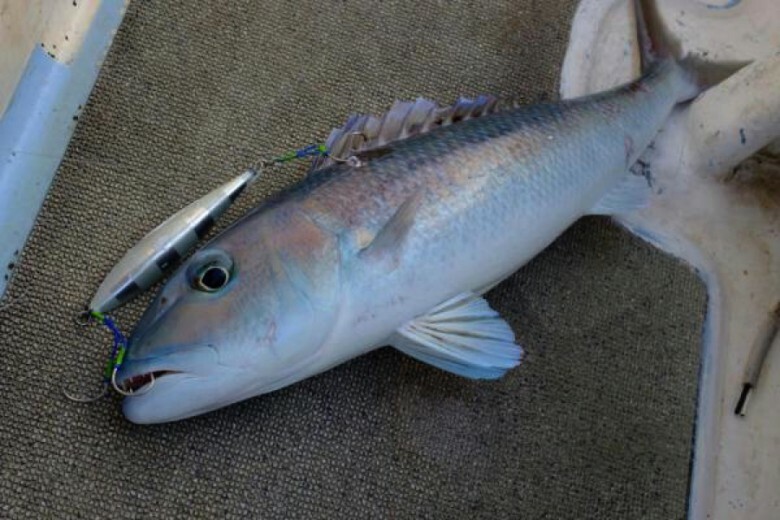 This is a 5kg amberjack I caught. Look at the beautiful fats. See the milky gross on the loin? This is all unsaturated fats. 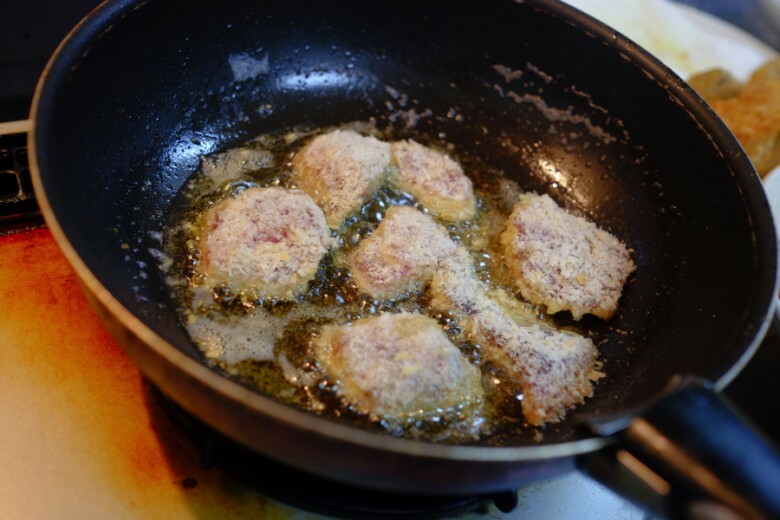 Just like us, fish stock fats right under the skin. We “grip” some sushi tonight. 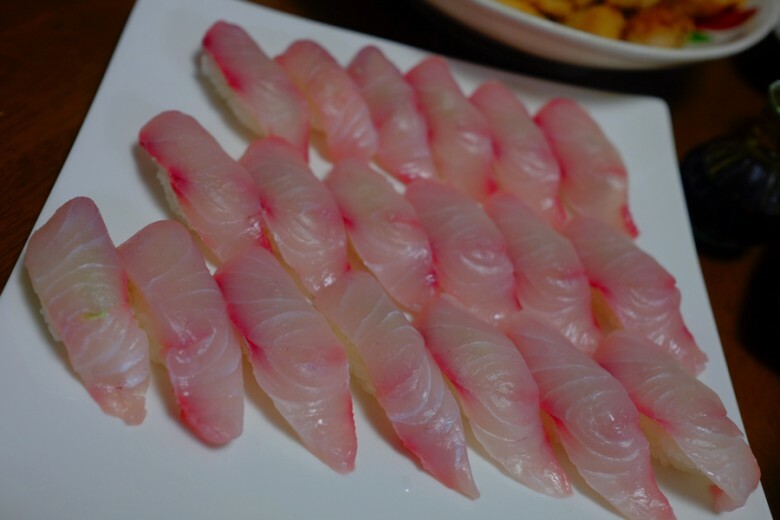 In Japanese, we don’t say we “cook” sushi, or “make” sushi, but we “grip” sushi when we mean Nigiri (not rolls). And who would grip sushi better than her? Masami-san from Miyabi Chaya. 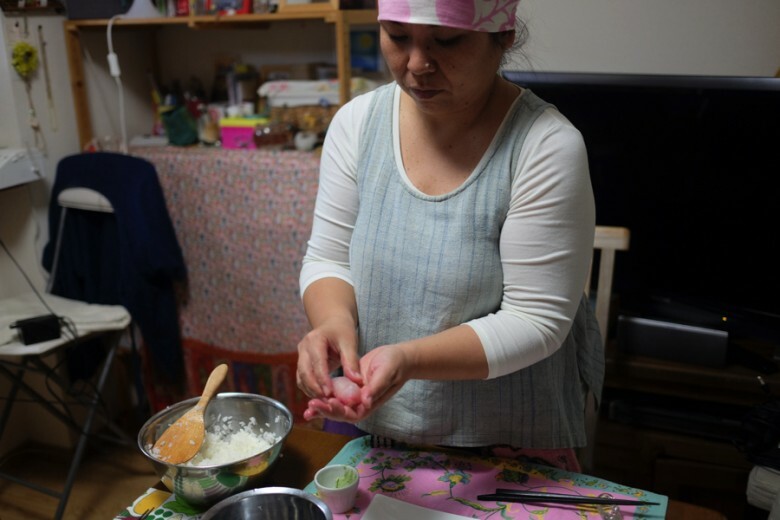 She grips such beautiful Ohagi, of course, she grips beautiful sushi. She’s got that hand. Sushi is not meant to be gripped firmly. It is gripped just enough to keep its shape until it goes into the mouth. 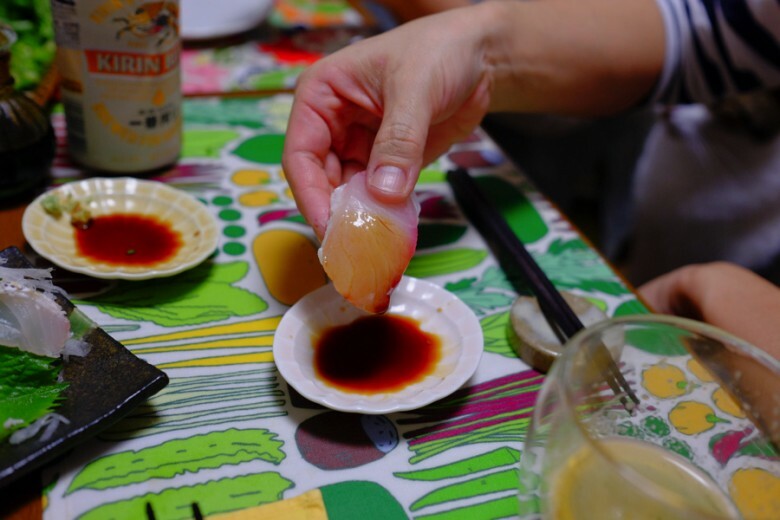 Once in a mouth, it’s supposed to fall apart into pieces, blending with the fish. Ones on the right with the skin on is Green Jobfish. Some fish is better with the skin on. Because umami, the fat, is right under the skin. Lightly grilled just on the skin so it’s not chewy at all. 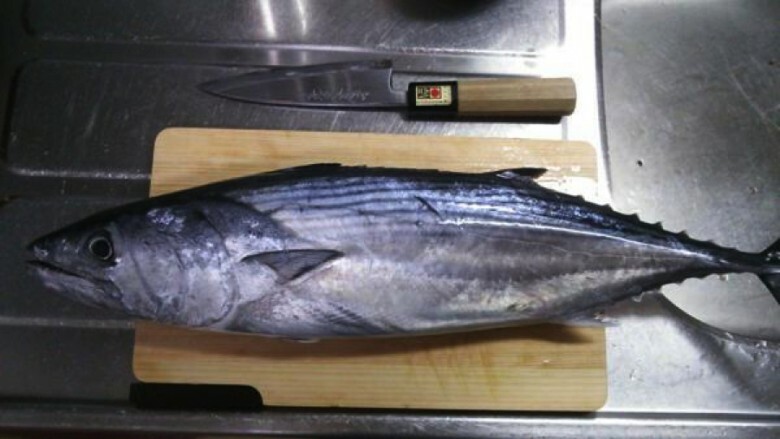 The jobfish looked like this when it was caught. 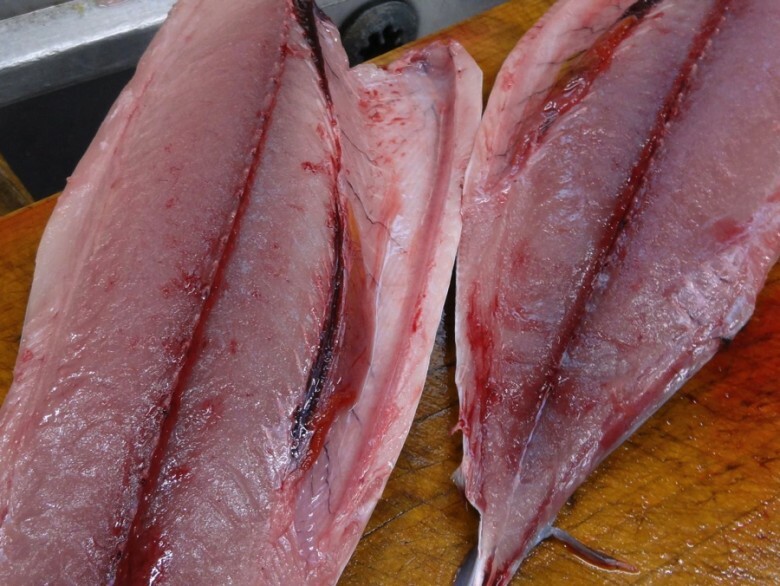 Unlike other Katsuo, mackerel tuna and skipjack tuna, this fish is very undergraded. 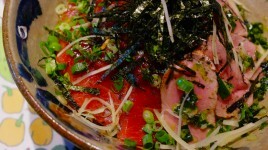 The taste is great as other Katsuo. But this fish is very watery. The loins are easy to collapse. 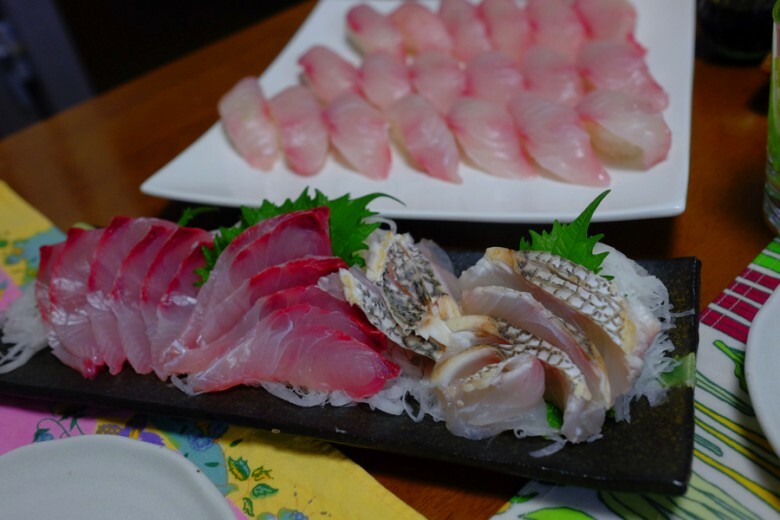 Many Japanese fishermen love to eat this fish on the day of the catch, but not in the next day any more. 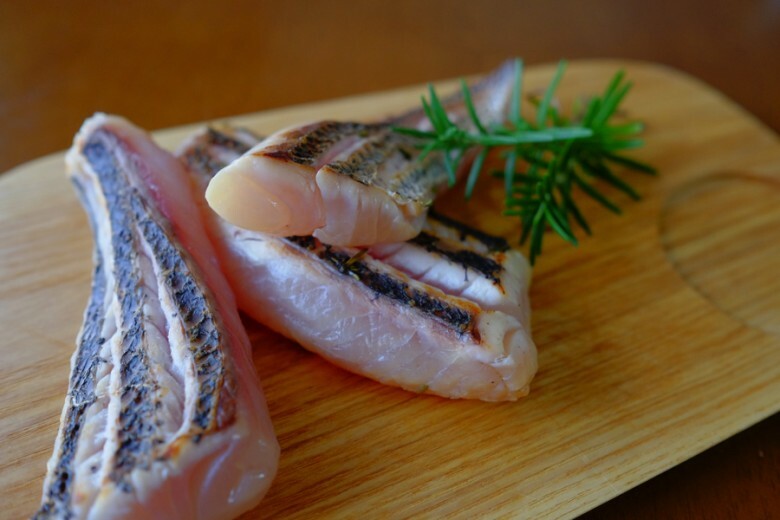 This fish is loaded with unsaturated fats and minerals like iron, so good for your body and so easy to go oxidized and rotten, too. I try to clean the fish as early as possible. On the day of the fishing if I’m not too tired. 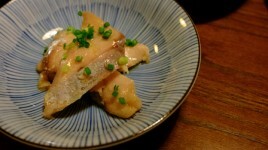 I marinate the fillet bars with soy sauce, mirin and sake. And Pichitto! to absorb liquid out of the fish. Pichitto! is the greatest invention of the century. At least for me! It is a plastic sheet with special gel that absorbs liquid and edgy odor components by osmotic pressure and holds them in the gel. The gel is made of glutinous starch and seaweed adhesive. It makes the surface dry but keeps the moisture trapped inside. 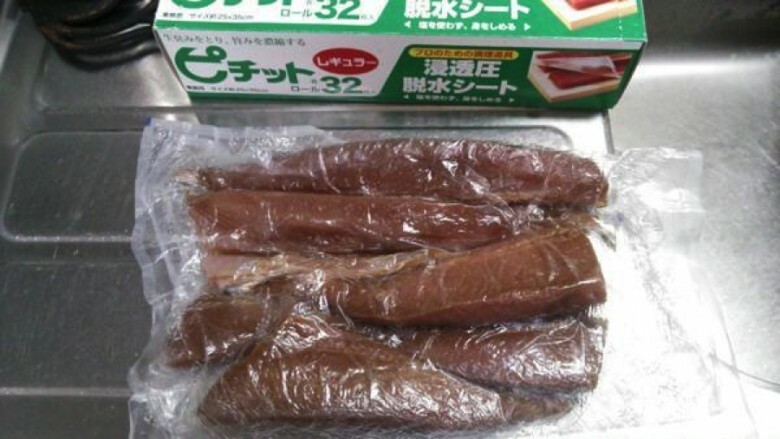 You can just wrap fish or meat and store it in the fridge. 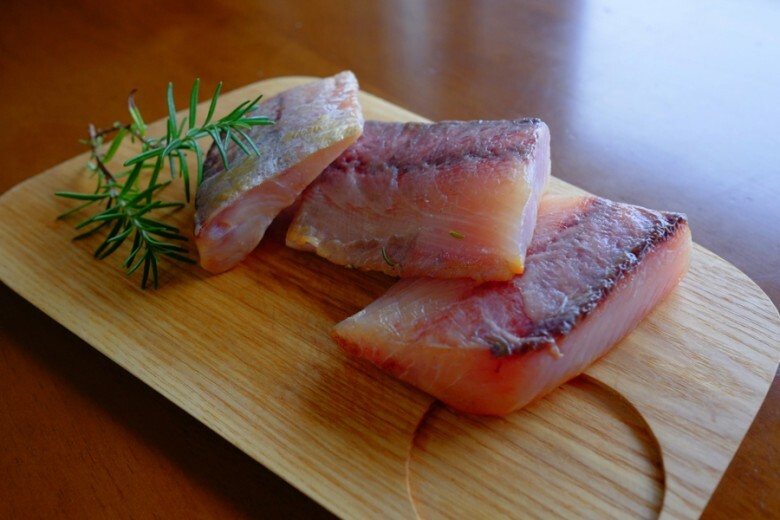 It’s fabulous for semi-dried fish, for the preparation of smoking, and for dry-aging your steak. I left my bonito in Pichitto! for a day and we did cutlet. 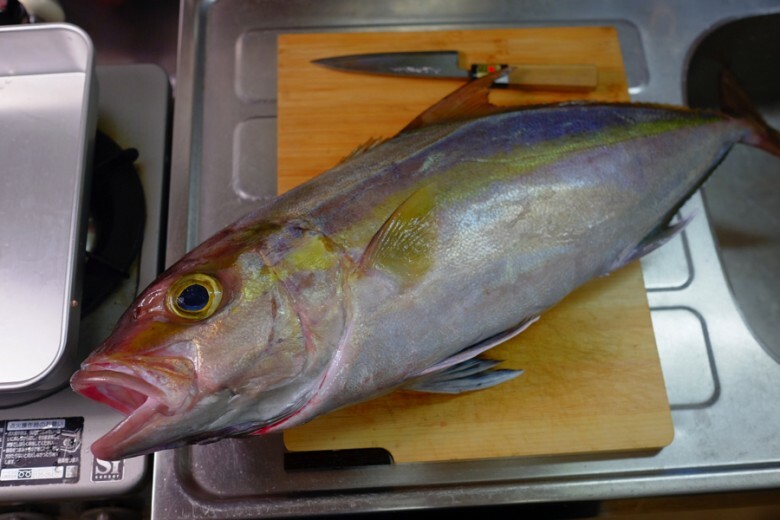 And we did the same with amberjack too. It’s so juicy and tasty. I have tried different ways to cook semi-tried bonitos, but this is the best I think. 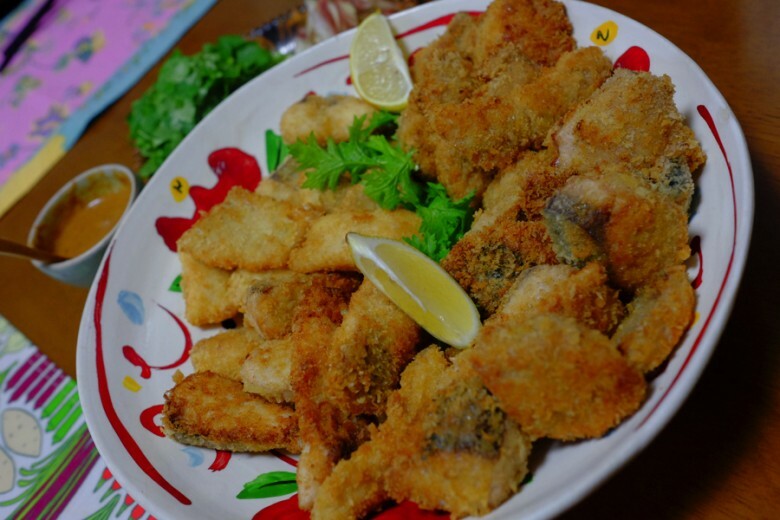 Cutlet is really like steamed fish with a crispy outside. 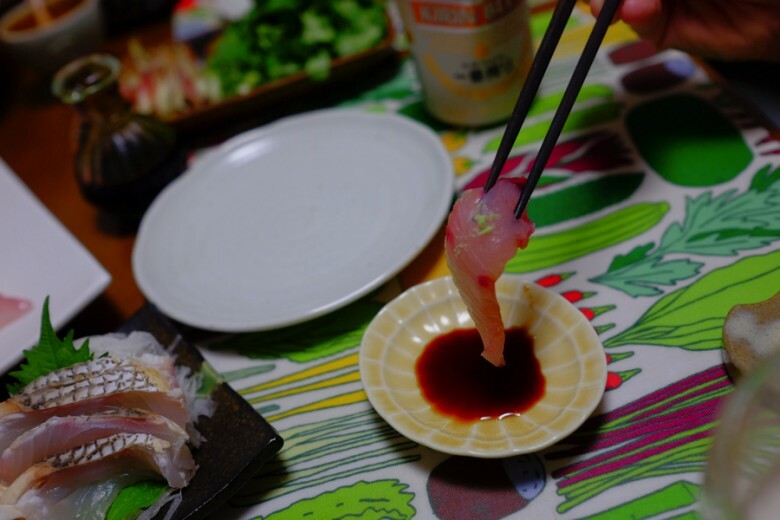 Get a bit of wasabi on sashimi. 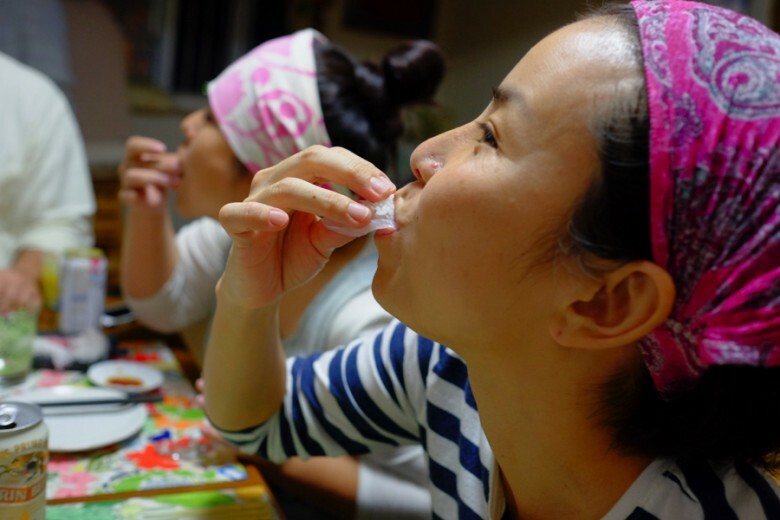 If you blend wasabi in soy sauce, you lose a lot of quality of wasabi aroma and taste. Dip in only on the fish side. Rice is seasoned. Fish is not. If you dip the rice, not only you make a mess with floating grains, but also you lose what the cook has gripped for. It’s OK to use chopsticks. But we just love to have sushi with our hands. It just feels tastier with hands. 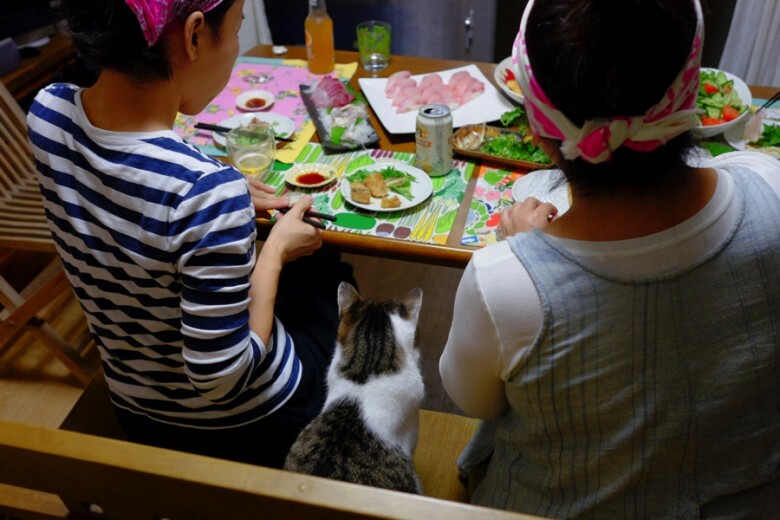 The cat wants to synchronize too. 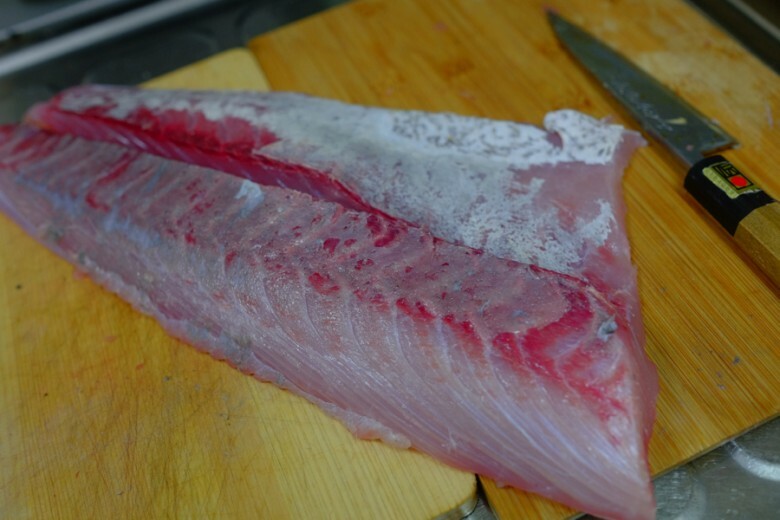 I made cold-smoke with the amberjack, too. 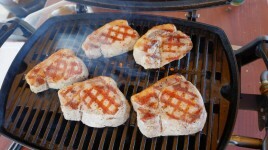 Marinate, dry with Pichitto! and smoke with ice-pack. But we are not eating that yet. I will let it age for another couple of days. Jobfish is looking good too!